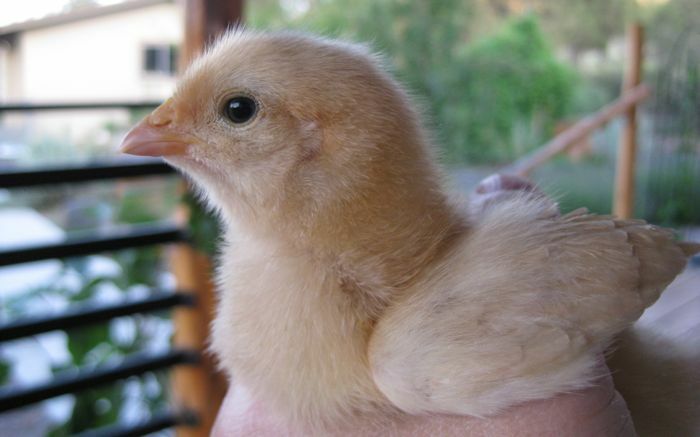 I thought we ordered cute, little chicks. Whoa boy, either I was wrong or the hatchery messed up our order. We have one-week old poop machines! I dutifully replace the brooder’s paper towel liner twice a day. Within minutes, it looks like a Jackson Pollock piece…. They’re cute, little poopers, I guess. We’ll build the tractor this weekend and move the chicks to it soon. A chicken tractor is like a brooder, but the bottom is open. You place it around the yard; the chicks scratch, peck, and poop all they want. Instead of messy paper towels or litter to change, you end up with tilled, fertilized soil.